Ha, David, is this the answer to my “Aug. 16,2018-request”? However……An otter – wonderful choice as first love! Hi David, Reading your blog on line, hope it’s ok to reply on here. just moved from France to Spain, bought a house with wonderful large spanish garden planted out by an owner of a local garden centre, pool, distant sea views, 20 minutes drive to the sea. Good walking/cycling etc. Not being a gardner myself and just having had surgery I can’t tackle any of it. Wondered if you would consider a free holiday here, Benissa which is an hour north of Alicante, with a friend ? Car to use, separate apartment, in exchange for some free gardening hours. What a fantastic experience…and to have the camera near at hand makes it even better. 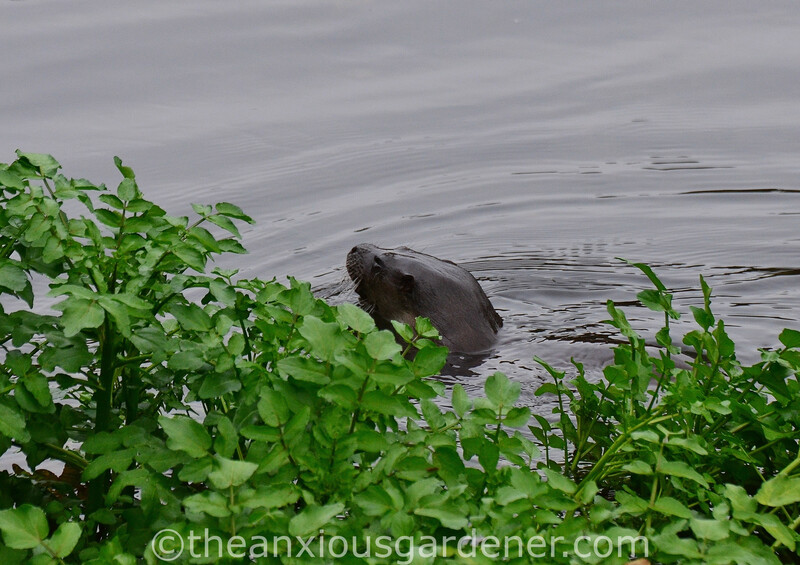 There are supposed to be otters in the river near our house. Lots of reports, but somehow no one ever gets a picture. I have a suspicion that some people are misidentifying muskrats or mink, but I am always on the alert walking by the river nevertheless. A couple of years ago, we took some friends to see our favorite spots in coastal Maine. One day, they went off without us to a place we visit every summer. 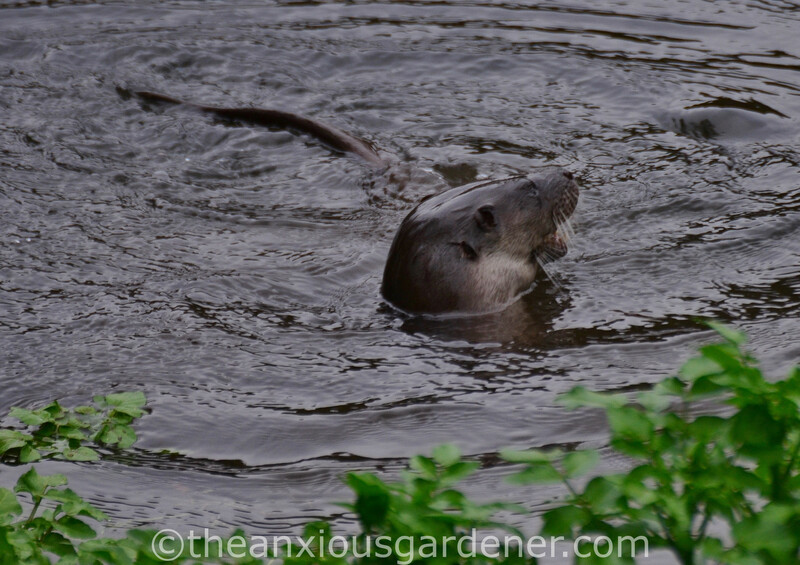 So, of course, that day they were treated to the sight of a whole family of otters playing in the sea. The only otters I have seen in Real Life were in a zoo, sadly. They’re beautiful and fascinating – how wonderful to have this encounter, you lucky thing. Yes, far too much depressing news all round so it’s lovely to read this. Thank you. Encouraging to see volunteers have made a difference … and just outside your door! In Aarau they began reclaiming the Stadtbach, from buried in concrete canals and used as a dump … to habitat and a winding path along the stream. Utterly beautiful. I remember from your book – will that be two teas, sir? Sounds like another uplifting story, Diana. I don’t remember the two teas line but I guess it comes from the night on the sleeper train? Welcome back. Everything comes to he who waits …… Eventually. I hope you and Jim had the decency to go back and rescue all those whom you knocked into the canal during your mad cycling stint! I remember seeing some in the Taff in Cardiff, of all places, back in the late 60s but as the river got more and more polluted, they died out. 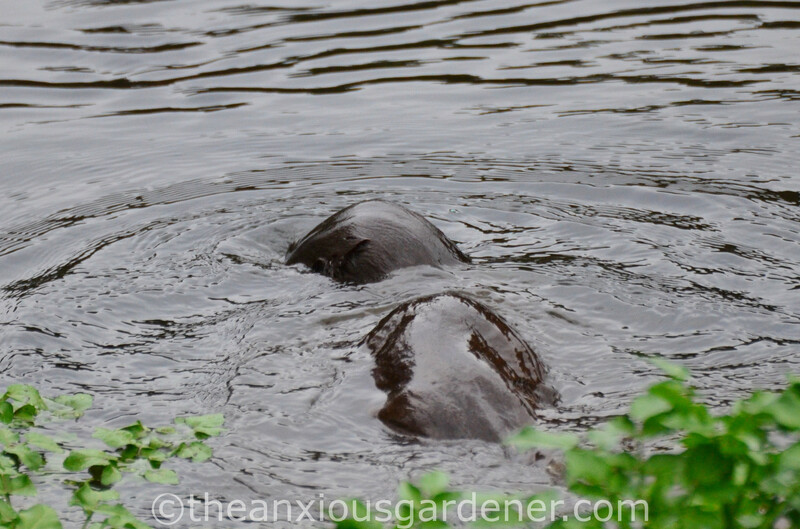 They’re back in the cleaner river now, undeterred bu the noise of city centre. Glad you have a convenient bench on which to doze whilst waiting for nocturnal observations. Well they are more active at night. See you again in three months? 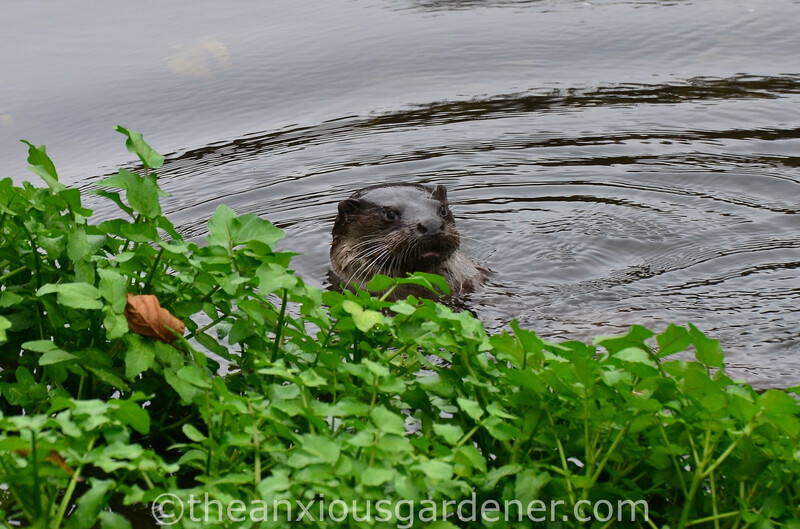 I love otters – – you got some great shots of a very slippery customer. When we studied them in grade school, I couldn’t believe these fun-loving guys were in the same family as weasels, that seemed pretty horrible to us kids. It was a lesson in taking each person as you find them, never mind what their relatives are like. Wonderful! What an uplifting post. Enjoy your new home and neighbours. What an uplifting post. 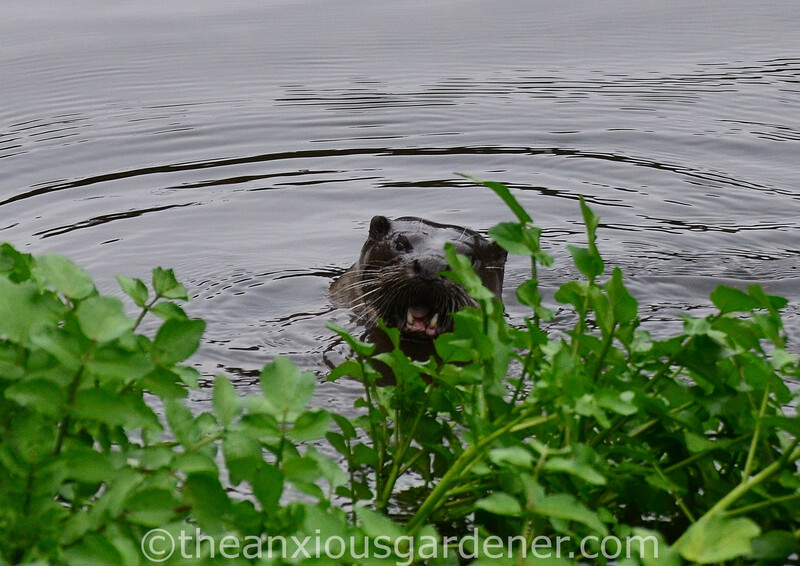 I’m so pleased you got to see an otter – and at such close range for so long. Interesting information about the canal. Super post, Dave. Welcome back to the blogosphere. Hope you are settling in . I always feel as you describe about otters. 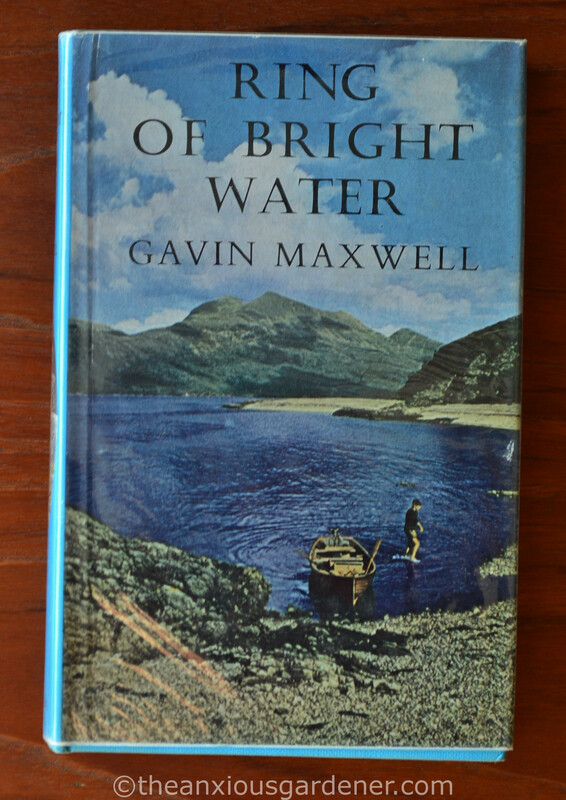 The BOOK was o level read for me. I’ve never seen an otter wild in the UK but I did catch a glimpse here in Italy at an Etruscan site. Lucky you to have them near your home. Good to hear you have a lovely new home. Lovely to hear from you again and with such optimistic news. Warms the cockles on this rainy morn! When such lovely things happen in a new(to you) environment you know you’re on the right track. This is a heart-warming post, thank you. You are right that there is so much bad stuff going on, and we need occasionally to focus on these triumphs. It is wonderful that a few people have made this happen. That was some excellent house-buying! What a surprise to find you had posted and then such an uplifting story on two levels. 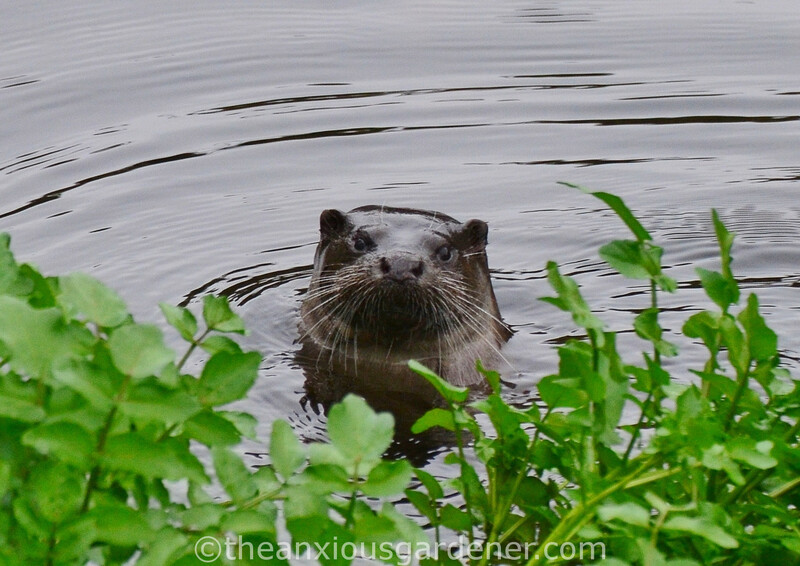 The first being that you didn’t feel the absolute need to ‘lock up’ when straying so far from your house and secondly the amazing sighting of a beautiful otter!! The photos bring him/her to life, what a cheeky chappie. Thank you for helping us share your joy and have a little spring in our steps this cold wet November morning. Wow. Congrats! That’s a cute face and you were lucky to get such good pix. Them be some mighty big teeth, too! 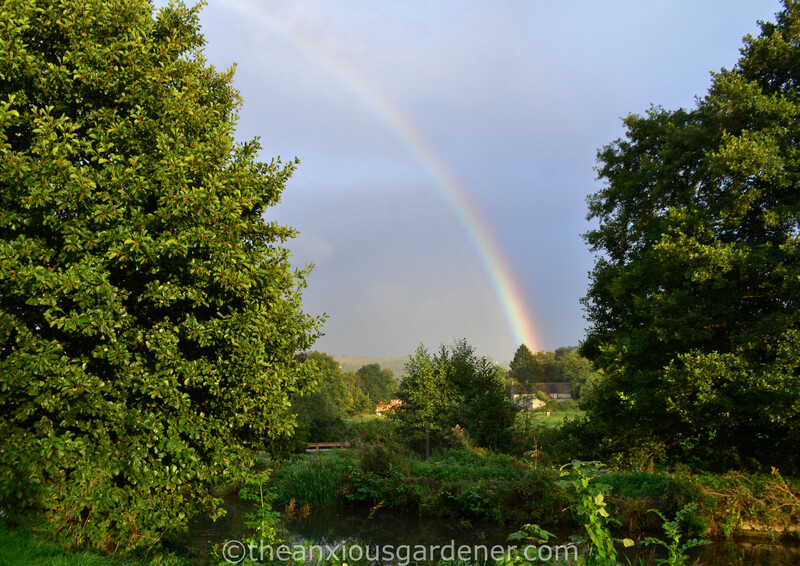 Glad to see you’ve both settled nicely into the new place, canal, otters, garden bench, rainbow and all. Ah, so lovely David! 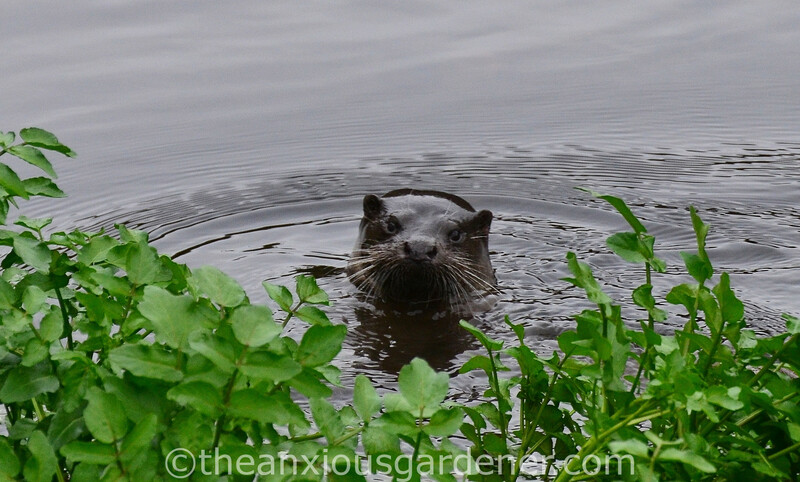 We’ve got a few otters in and around Bristol, but I’ve only seen one in the Summer Isles, Scotland, around 1977! Never forgotten it though. I’ve been here 6 years now, nice to hear you’re nearby in Stroud – be lovely to catch up with you both some time! It’s suddenly occurred to me (being very quick on the uptake) that I might know you. Do I? I mean from outside blogging-world? Haha, yes you do! It’s Bec, pal of Hobbes and former beau of Ms Ramsay. WordPress signed me into a defunct account which obscure things, to be fair! How thrilling. I can imagine your excitement. AND just across the street from where you live. A dream come true. Here in Indiana they stopped the hunting of River Otters in 1921. It was too late, they were soon extirpated from our state. In 1995 the Department of Natural Resources brought 300 River Otters from Louisiana and turned them loose in the watersheds of Indiana. It took until about 5 years ago for me to get to see one. Now we see them every once in a while. I will never forget that first encounter. I was thrilled and I will never take them for granted. Oh, David I am so happy for you both upon seeing the otter. Also, of seeing your move seems to have been successful, you are enjoying the new area and what it has to offer. I am so pleased to see your blog once again. Thank you for continuing to keep all of us informed. So nice to see your blog post in my mail today! It’s always so exciting to see these wild creatures. Thanks for sharing your sighting with us. Very good news, which I am grateful to receive. It is striking how much they look like seals. I wonder if they are distantly related? A great sighting and to think if it came later, you would have missed it. Nice photos and good to see your post, David. Enjoy the holidays ahead. Thanks, Eliza. No relation to seals, I think. Otters are more related to weasels and stoats, I believe. Seeing a wild seal – years ago in Scotland – was a similarly marvellous moment. I was learning to Kayak and one just popped his head out of the water about ten feet away. The rascal. Welcome back. Even in Australia childhoods were shaped by a Ring of Bright Water and while we see whales, echidnas, platypus, lyrebirds and other extraordinary and beautiful wildlife here, to see a wild otter in the UK remains one of my dreams. All of which (except peehaos the whales) are losing the battle here in Australia. So nice to hear from you again. Glad you are settled and hope for more posts from your new location. Lovely surprise to see a post from you. 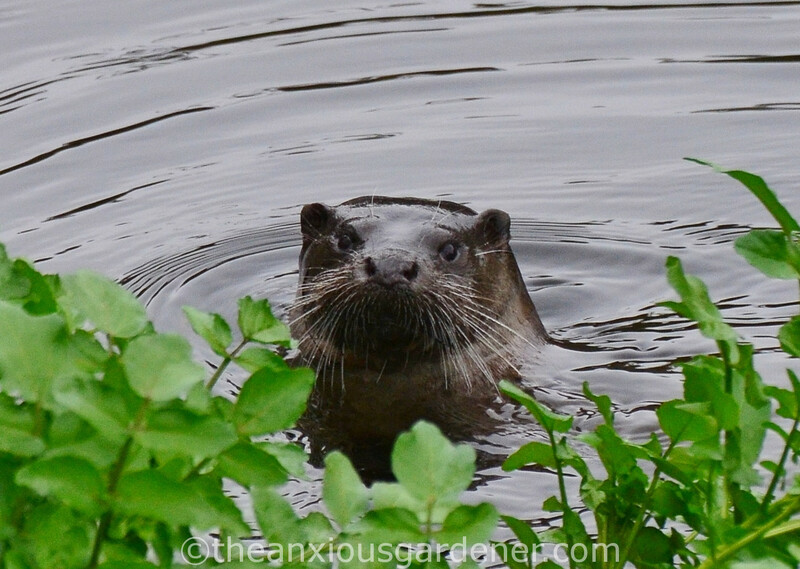 Hopes and concerns for our planet, a new house and an otter. I think he’s thankful for a restored canal and his face says “courage, take heart”.